Mountain biking and road biking for sport, leisure and competition have become popular vacation activities. Biking can also provide local transportation at your vacation or trip destination. The challenge with bicycles though, is transporting them by car and/or airline. To get where you’re going with your bikes in tow can be cumbersome and difficult. But it’s possible to take your bike wherever you go with a bike travel bag or case for protection and space efficiency. Below, you’ll find the best bicycle travel bags reviewed, as well as the best bicycle hard travel cases on the market. 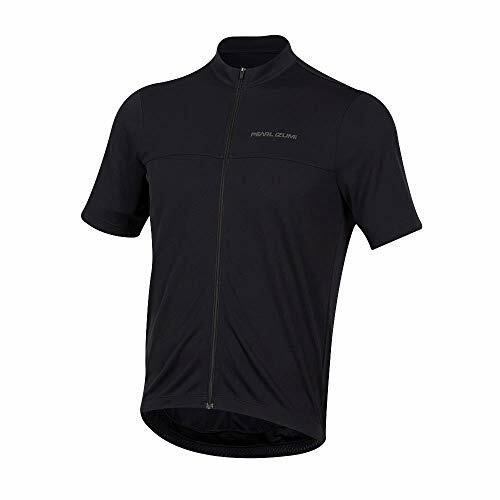 Also see How to Choose the Best Bicycle Travel Case or Bag, which helps you to decide what is the best bike travel bag or case for your specific needs. The Evoc Bike Travel Bag Pro is great for travelers who need to bring their bikes with them on their adventures. The unique setup of the Evoc pro bike bag makes for a lightweight, soft bag travel option. Only weighing 0.32 ounces, this addition will add almost no weight to your bike making carrying a breeze. Equipped with two wheels and a handle, you won’t have to worry about lugging your bike around in your hand, ultimately saving your back and strength for when you really need it on the ride. The unique setup of the Evoc Bike Bag means you only have to disassemble your handlebars, pedals, and wheels of your bike to fit. Each has their own section of the bag as well, so these pieces will never clank against another or cause damage. 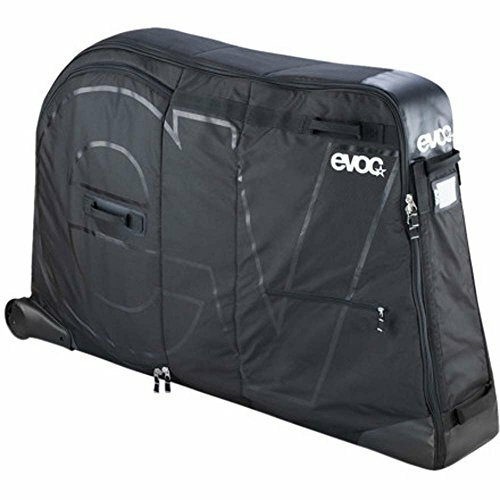 The Evoc Bike Travel Bag Pro will ensure your bike stays protected whether travelling by car, plane, boat, or train, and can be safely stowed into smaller spaces easily. An Evoc travel bag is one of the best on the market. 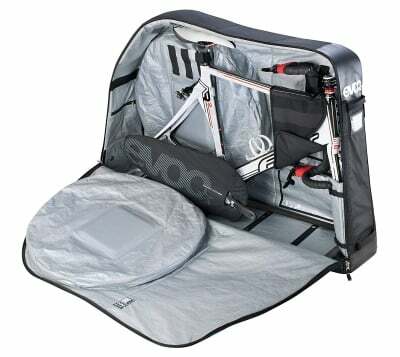 The Sci Con AEROCOMFORT 3.0 TSA Bike Travel Bag is one of the best currently out on the market. This bag is known for its travel abilities and its lightweight nature and portability. This bag is equipped with eight wheels and can stand upright making for a convenient way to travel through airports. These wheels are also able to rotate a full 360 degrees and therefore can turn in any direction you lead it to. When putting your bicycle in this bag, you need to do very minimal disassembling. You can leave your bike almost fully put together. All you have to do to fit it in the bag is remove your bike’s wheels! Leave the handlebars, seat posts, and pedals on and stick the frame right in. The final benefit of this bicycle travel bag is its TSA Compatibility. The Sci Con AEORCOMFORT 3.0 TSA Bike Travel Bag comes with a TSA padlock so when you travel by plane you won’t have to worry about your bicycle! This bike transport bag is perfect for those who love to travel and hate leaving their bicycles behind. The Speed Hound Freedom Road and Mountain Bike Travel Bag is great for those looking to store their bicycles safely when car camping or traveling in your vehicle. This bag is large and can fit each individual part of your bike in a separate, designated compartment of the bag. In order for your bicycle to fit properly in the Speed Hound Freedom Bag, you must disassemble every major part of your bike. This means that your wheels, seat, handlebars, and pedals must be separated from the frame of your bike in order to fit right. There is extra space in this bag to ensure there is a place for your cycling shoes and helmet, too. 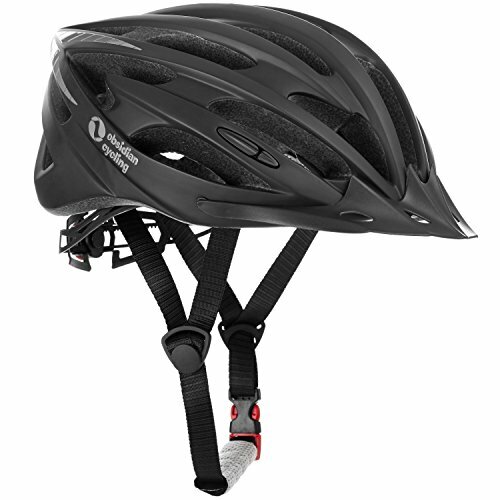 With padded protection, your bicycle will never get damaged by bumps and bruises. This bag also makes transportation easily with its total of seven working handles. No matter where you need to grip your bag from, there will be something to hold to make lifting it easier. The Speed Hound Freedom Road and Mountain Bike Travel Bag is great if you don’t mind disassembling your bicycle and putting it back together when you need to. 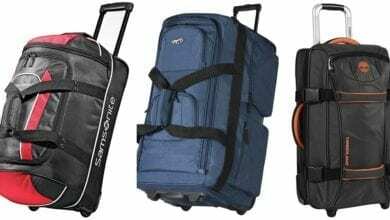 The Globadapt Bicycle Travel Bag is one of the better bags on this list, as it is large enough to hold many different types of bicycles yet can fold down and be compact when not in use. 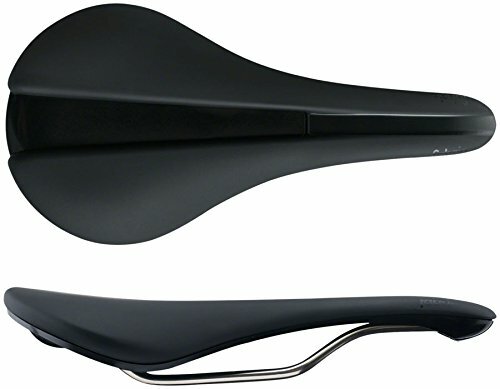 Internal padding protects your bicycle from damage if moved or banged around. In order to fit the bicycle, you will need to remove your wheels, handlebar, and pedals from the frame of your bike. This bag also has extra pockets for any extra gear you may want to bring with you including additional pedals or tools. This bag is equipped with two standard wheels and internal strengthening bars to make travel easy. Just lift the handle and drag! Similarly, an additional product sold by Globadapt is the Globadapt Bicycle Travel Bag – 5-Wheeled. Identical to the previous Globadapt carrying bag, this one is improved by its use of five wheels instead of just two. This makes transportation even easier than the previous one because you don’t need to lift the one side of the bag to drag it around on its wheels. You can push this one standing upright. The Globadapt Bicycle Travel Bags are great if you need any extra space when traveling with your bicycle. The Topnaca MTB Soft Mountain and Road Bikes Transport Bag works best for people who want a small, easy bag to carry their bikes in. This waterproof bag can ensure you won’t damage your bicycle if you want to carry it through the rain. Equipped with a long shoulder strap, you can sling this bag over your arm or shoulder easily and carry it that way. To fit your bicycle in this bag, remove the handlebars and wheels and place the frame in the large inner compartment. This bag also has extra space for added tools or materials you may want to bring with you. The Topnaca MTB Soft Mountain and Road Bikes Transport Bag is great for a simple transport method if you need to bring your bicycle somewhere. The B&W International Bike Sack is ideal for people who want to transport or travel with your bike by car, train, or bus. The soft case is padded and can ensure protection for your most prized possession. The B&W bag is large and can hold the parts of your bike necessary and additional items such as tools and extra set of pedals. To fit your bicycle, just remove the wheels and seat from your frame and insert them into the separate designated pockets in the bag. Lastly, the bag can be transported easily with the included removeable shoulder strap. Have no fear about traveling with your bicycle with the B&W International Bike Sack. 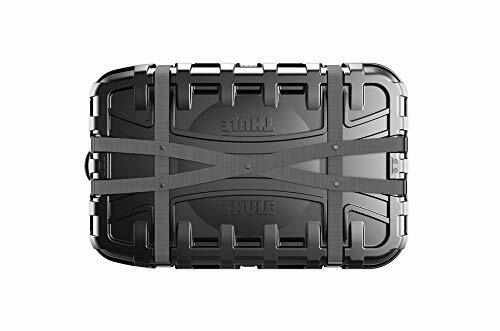 The Thule Round Trip Transition Bike Travel Case is great for those who want to have a sturdy exterior protection of their bike when they travel. In order to fit your bicycle into this case, you need to disassemble and remove the wheels, handlebars, and pedals from the frame and place them into their appropriate locations. This bike travel box also allows easy assembly of your bicycle again with its built-in fork-mount. The hard bike case exterior of this Thule Round Trip Case can let you rest easy knowing your bicycle will not get damaged when traveling. This Thule Round Trip Transition Bike Travel Case is an amazing tool or gift for someone who always enjoys taking bicycle trips to different locations and needs a safe method of transporting their bicycle. It is one of the best bike box on the market. The Thule RoundTrip Pro XT Bike Case is the perfect in-between of a bicycle box and bag. It is a soft-shell nylon exterior but is enforced with aluminum poles throughout it to provide stability. To pack your bike away, just remove the wheels, pedals, and seat and put them in their respective sections of the bag. Portability is easy with the Thule Roundtrip Pro XT because it is equipped with two wheels. Just by lifting a handle on one side, you can pull your compact mountain bike travel case around with little to no hassle! This saves the strain on your back from having to carry your bike everywhere you go. Built-in padding on the outside of the thule bike box protects your expensive bicycle from wear and tear from accidental bumps. You’ll never have to worry about your bicycle being damaged if you use the Thule RoundTrip Pro XT Bike Case! The Trico Iron – Bike Travel Case is a unique kind of bicycle case that can hold any bicycle type up to a 29-inch wheel base. This case is unlike others on the market because of its different outer layer and inner protection. To fit your bicycle in the Trico Iron Case, you must remove both wheels, pedals, and seat. They all go into a prospective slot once disassembled. 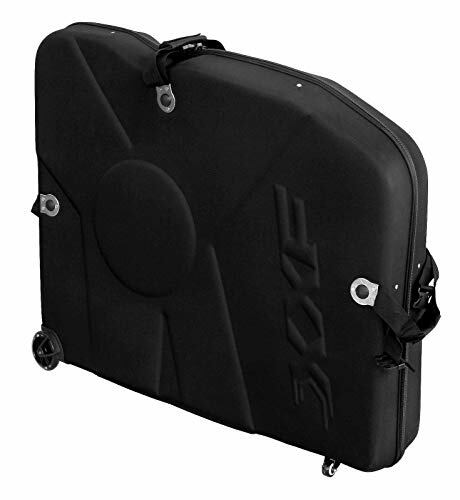 This case has three layers of foam on the inside of this hard polycarbonate case to cushion and protect your bicycle from any bumps or if it gets hit in any way. The case closes with a set of straps wrapped around groves in the hard case. The Trico Iron Case – Bike Travel Case is a great bicycle case for any bike type and is best for individuals who wish to travel by car or train. Hepburn’s EVA Bike Travel Case for 26”/700C/27.5” bikes is ideal for anybody looking to travel with their small road bicycle. In order to fit your bicycle into this road bike travel case, you must remove its pedals and wheels. They will fit snugly into a respective slot once disassembled. The material is durable with high impact and heat and filled with a sponge interior to cushion your bicycle during any falls or bumps. A similar bike to Hepburn’s EVA Bike Travel Case is Hepburn’s EVA Bike Case for 26″/27.5″/29″. Hepburn’s EVA Bike Case for 26”/27.5”/29” wheeled bikes is just like its smaller sister version but larger and can hold larger bikes, including fitting mountain bikes well. Also made with an abrasion resistant thick outer layer, this case will protect your bicycle from bumps. It also has a foam interior that will prevent damage. Hepburn’s bike boxes are great for anyone traveling by car, train, and plane due to its high-impact resistance. 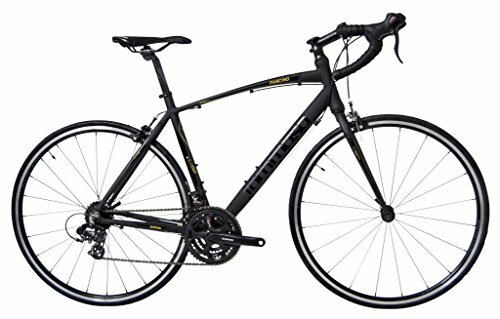 The Thule Round Trip Sport Bike Travel Case is great for competitive and recreational bikers who want to travel with their favorite bicycle. The strong, polyethylene casing of the case protects your bike against any abrasions or interactions from external items. Inside, once your bike fits by disassembling the wheels and pedals, there are separate compartments for each piece of the bike, so they won’t clank around and damage during transport. This case is also equipped with two wheels making for easy movement around an airport or to and from a vehicle. Four heavy duty straps lock this case closed so you will never have to worry about your case opening and your bike obtaining any harm. The Thule Round Trip Sport Bike Travel Case is sure to protect one of your most prized possessions. The B&W International Bike Case works great for multipurpose use. The outer hard shell can be completely removed to make for simpler packing. In order to fit your bicycle into this case, you need to disassemble its wheels and pedals from the base of the bike. When removed, each have separate covers and compartments to ensure they won’t bang around when you are moving it. To make transportation easier, this case has four wheels on its bottom so you can wheel it upright and not have to lug around a heavy case. 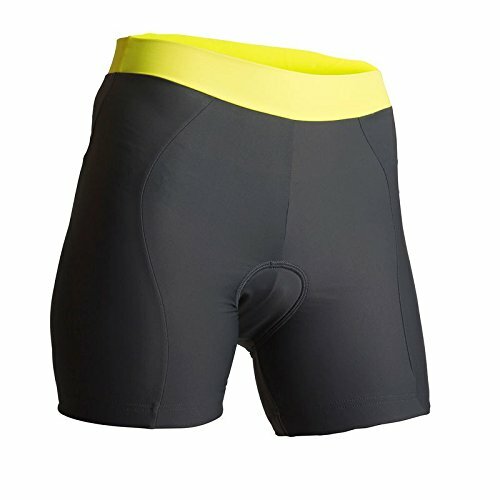 This saves your back muscles for when you really need it. Lastly, this case closes and tightens together with four thick straps so your bike won’t fall out. The B&W International Bike Case is a great option for those who want to travel with their bicycle. Choosing a bicycle bag or case is very important for serious recreational or professional cyclers. Always pay attention to the criteria and features these cases offer you. There are plenty of different options on the market and choosing one can be difficult and confusing. If you are unsure of where to begin or what to look for when picking the best bag for you, keep reading below to identify features to look out for. Purchasing a bicycle travel bag or case depends on multiple factors such as the size and type of your bike and if you need more protection or not. For example, if you have a larger bike and need less protection, go for a bag. If you know you’re going to travel on a plane or where your bicycle could get bumped and banged, go for a hard case with a sponge or foam insulation. If you are the type of person to need extra space in your carrying bag to hold assembly tools, extra sets of pedals, or a helmet, keep this in mind when purchasing. You should look for a larger holder that has additional compartments. This way, you’ll always know where your extras are. If you don’t need to bring extras along, you can sacrifice the compartments for a smaller, lighter carrier. With all bicycle carriers and cases there is some degree of disassembly necessary. 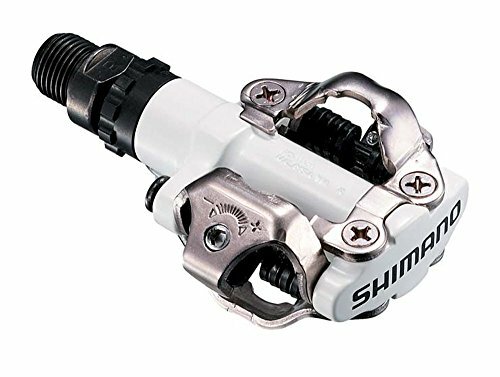 If you are not sure of how to disassemble and reassemble your bicycle completely, consider a larger bag that can fit with the pedals, handlebars, and bike seat on. This way, the only thing you’ll have to worry about is the wheels. The wheels are the one part of the bike that are always removed when using a travel case. If you are an expert at this, though, you can get a smaller bag which has separate compartments for each piece of your bicycle. Also consider the time associated with this dis and re-assembly. If you have more time to do so, you can go with the smaller bag or case. Question: Will all bags or cases work with my bicycle? Answer: No! There are many different types of bicycle travel bags and cases. They vary based on the size and type of your bike. 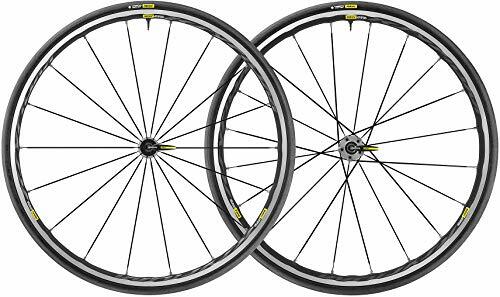 Not all bicycles are created equally and therefore you should keep track of the size and specs of yours so you can compare it and choose the best fitting one for you. Question: Does the material of the case or bag matter? Answer: Absolutely! Depending on how you are traveling and where you are going to be using your case, the material of it definitely matters. For example, if you are traveling via airplane, you may not want to use a bike bag for air travel and opt for a travel case instead. Having a hard, waterproof material will ensure that your bike stays intact while in transport. 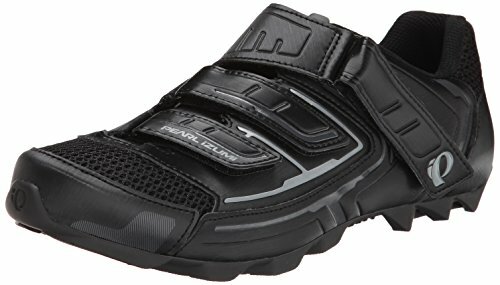 Alternatively, if you are traveling by car and handling your bicycle yourself, you may not mind using a bag with a carrying strap since you can control how much it is banged around. Question: Are all cases and bags TSA compliant? Answer: No, not all bicycle travel bags and cases are TSA compliant. Some may be, though. This is something to keep in mind if you typically travel by airplane. In the descriptions of your prospective cases, they should list this specification. Some even come with built in TSA locks for your convenience. There are plenty of bicycle travel bags and cases on the market for you to choose from. This can get difficult and confusing if you are unsure of what you are looking for, so hopefully this guide can lead you to make the right decision about the best cycling bags for you. Always be sure to check out the specifications of each bag or case to make sure your bicycle tires will fit. You don’t want to end up in a last-minute sticky situation! With your new bicycle carrying bag or case, you’ll finally be able to fully enjoy the exercise and fun of your favorite bicycle when traveling to new or frequently visited locations! Thanks for reading The 12 Best Bike Travel Bags and Cases. We hope that our research and analysis helps you to find the best alternative to transporting your mountain bike or road bike. 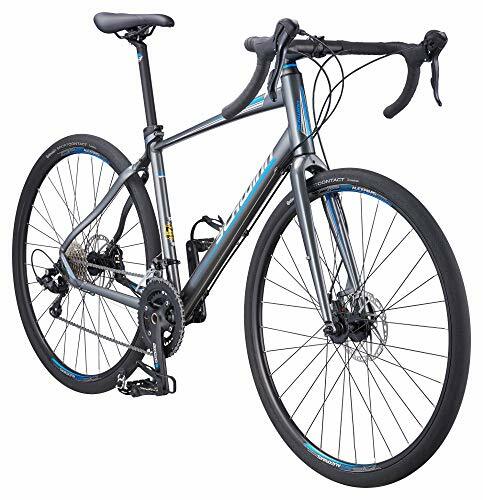 Also see these informative articles, Top 10 Road Biking Routes in the United States and How To Get Started Road Biking – A Beginner’s Guide.